Growing up in the suburbs of Montgomery, Alabama, I knew something was missing. Growing up in the suburbs of Montgomery, Alabama, I knew something was missing. I couldn’t wait to get my first bike so I could explore beyond my street. Once that wore off, I couldn’t wait to get my first car so I could explore beyond my neighborhood. But what was I looking for? The mall was where my friends would end up; however, I lost interest in that scene pretty quickly. More consistently, I found myself exploring the old downtown core, which at this point in the mid-1980s, was waiting for the last person leaving to turn the lights off. Even though there were few people on the streets, the buildings told a story of that place, sometimes literally with a plaque. 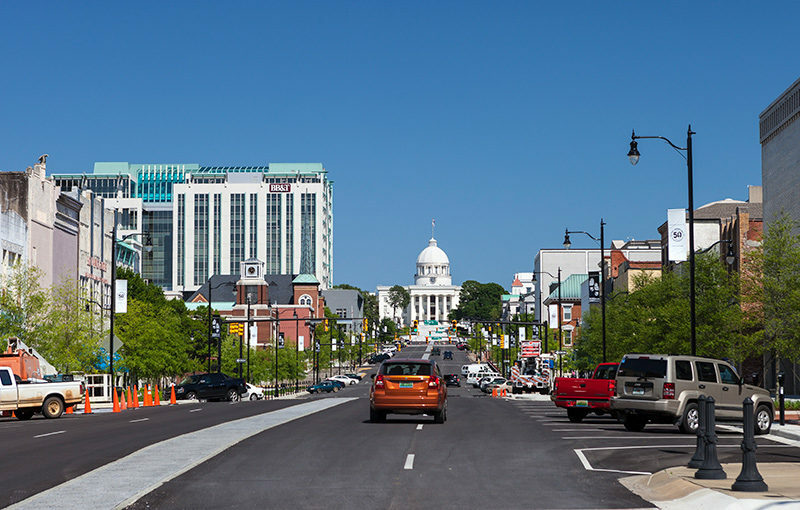 I remember my parents telling me about when the old downtown department store finally closed and how they had their first date at Chris’ Hot Dogs, the oldest family owned and operated restaurant in Montgomery (my dad the big spender). Even with this rich history, I believe what I was missing was a connection to the greater community. It wasn’t until I moved to Seattle, and experienced all a city could offer, that I realized what I had missed as a child. I believe life is made more interesting by the everyday connections we choose to make. In order to live a rich and full life we can’t ignore the journey. One key element to this journey is transit-oriented developments (TOD). The way we get from place to place is constantly changing. The Sharing Economy coupled with technology, gives us an array of options unimaginable 30 years ago when most everyone simply drove where they needed to go. 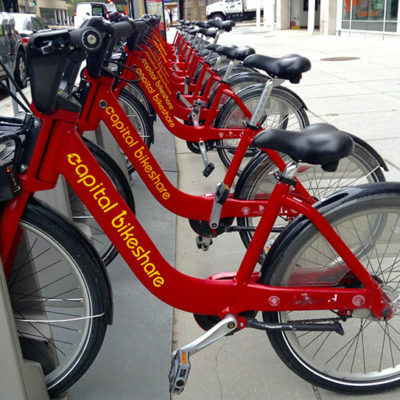 From car sharing (Uber / Lyft) to bike sharing (Spin / Limebike), layered on top of a variety of transit, we have more options than ever before. And this doesn’t even account for being on the cusp of driverless cars. One thing hasn’t changed, and that is the corridors needed for each of these modes of transportation to get where they are going. Rails are needed for trains, roads are needed for cars, buses and bikes and pedestrians need corridors for safe passage. Each of these elements can either be designed independent of each other, or we can bring them together to design a complete street. Regardless, it’s all part of our infrastructure and how we, as a society, decide to spend our infrastructure dollars. Transit projects are major infrastructure, which by itself is a challenge in most communities. While transit is key to the equation, there are other infrastructure elements needed to complete the system including bike paths, trails, parks, walkable streets, pocket parks, plazas and town centers. These elements, along with transit, are the connectors. TOD also needs a reason for people to want to be in a place. Residential, office, retail, entertainment and healthcare all come together to form a community. Both connectors and community are needed for successful TOD. In the ever-changing world we live in, giving people a reason to go somewhere is half the battle. In Gravel’s book, he goes on to explain the story of the Atlanta beltline project. What started out as an urban design thesis project became a reality when all the stars aligned. Originally, the area was a series of rail corridors encircling Atlanta-proper owned by numerous railroad companies. As roads and freeways became the predominant mode for commerce, the rail corridors fell from use and became defunct. With Atlanta being well known for its traffic jams, a resurgence in rebuilding the core emerged. And with it, questions about the best ways to get around the city. 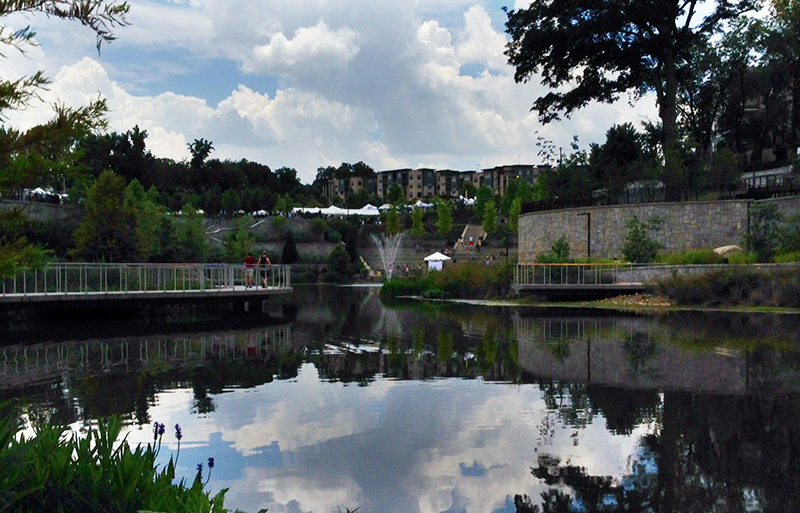 While numerous studies for the beltline as a park, or the beltline as a light rail corridor have been in circulation since the planning for the 1996 Olympics, its current and most successful version involved countless community meetings all over the city in neighborhoods adjacent to and affected by the beltline project. It became the vision of a city, by the citizens. In these community meetings, people wanted not only connections to other parts of the city, but they also wanted spaces for community, places to live and places to do business. The beltline encircling the city became the vision for bringing the city back together. This infrastructure needed more than just a light rail. It needed a continuous network of bike paths and walking paths working together to offer everyone an option for getting around. And along its path, development would naturally happen to support this 21st century infrastructure. The other key component to TOD is community. Finding the right mix of uses – residential, office, retail, entertainment and healthcare – in order to provide what a community needs from a functional perspective is certainly part of the equation. How these uses come together and how the resultant spaces are designed will often make or break a project. As we consider our future, MG2 recently asked the question “How do you want to live?” Overwhelmingly, there was a desire to have more authentic experiences. The question becomes how to create this condition. While we can architecturally recreate the Main Street “ideal” and evolve it to fit today’s standards, in order to make it authentic, it needs to have input and be adopted by those who will use it on a daily basis. This way it will evolve into a real community. Plan how your city (or suburb) needs to grow. Identify major nodes spaced reasonable distances apart. Insert transit and encourage mixed-use development around the transit hub. The challenge is pulling it off successfully, and as designers that daily journey should be enhanced with every opportunity to ensure successful interactions. Currently, MG2 is working with SHAPE on the City of Lougheed project near Vancouver, B.C. It is an ambitious TOD project with 20+ residential / office towers occupying the former parking lots surrounding a traditional mall. Each block is connected with walkable boulevards, which reach beyond the site to connect to the existing fabric of the area. MG2 was asked to enhance the visitor experience at the intersection of the public and commercial lobby spaces. Within the context of the City of Lougheed, a city of neighborhoods with pocket parks, we created portal parks, which serve as a natural extension of the pocket parks. When applied to interior spaces, the parks enhance the journey creating opportunities for chance meetings and urban respite. We’re also working with SHAPE on a couple other properties as they look to enhance a key element of TOD, retail spaces. At Deerfoot Food Lodge, our team is focused on designing a dining experience that brings together a unique collection of restaurant concepts under one roof while our work at The Amazing Brentwood – a TOD located along Vancouver’s SkyTrain – creates an elevated, hospitality-inspired experience for the entertainment destination. While big moves are important, it’s often the attention to detail in our daily journeys that people remember; and sometimes those moments come in the form of a bike ride.